★★★★★ A perplexing start, an astonishing ending, and a puzzle still to be solved! ★★★★★ Unexpected and quirky characters made this a fun quick read. ★★★★★ Some of the best twists I’ve read in a long time. ★★★★★ Just when I thought I had it, the author throws another curve ball. ★★★★★ Abby is both the victim and the heroine and that's all you need to know! ★★★★★ I was hooked from the first sentence and couldn’t put this book down until I finished it! ★★★★★ The suspense is endless, and leaves you wanting more. ★★★★★ You need to be on your toes if you want to figure it out. ★★★★★ The conclusion will blow your mind...in a good way. ★★★★★ A gripping tale of human trafficking, prostitution, and a mystery child who has no memory of her past. ★★★★★ Ty Hutchinson has written a pulse raising mystery that left us literally paralyzed. ★★★★★ The tale is a heart stopping, edge of your seat, thriller that will keep you up late into the night reading. ★★★★★ The characters are believable, and I found myself literally loving Abby Kane, her family, Kyle Kang and even Xiaolian. ★★★★★ This book had me second-guessing my conclusions so many times. ★★★★★ Imagine a book that takes every plot twist that you thought of and ignored it in favor of another. ★★★★★ Suitcase Girl is Amazing!! Go, Abby, Go! ★★★★★ Right now I am on pins and needles. I think I need a drink. For a tense, disturbing thrill-ride, pick up this USA Today Bestseller. 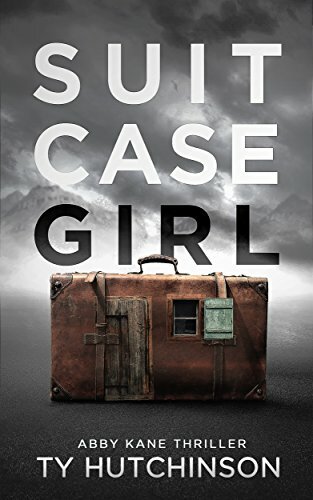 Book one in the Suitcase Girl Trilogy.